A delicious moist sponge cake, very easy to make and very healthy. The mandarin season is just beginning here in Andalusia and ground almonds are used here in many cakes, legacy from the Andalusian moorish days. Put the mandarins or clementines to boil, whole, simmering for about 20-30 minutes, until soft. Remove from the water and leave to cool, then cut in half and remove the pips. Blitz the pulp and skin to a smooth paste. Preheat the oven to 180C/160C fan. Grease a 20cm springform cake or bread tin. Line the bottom with baking parchment and lightly oil – if using a bread tin use a strip of baking parchment long enough to line the bottom and the narrow ends and leave about 10cm either end help lift the cooked and cooled cake out. 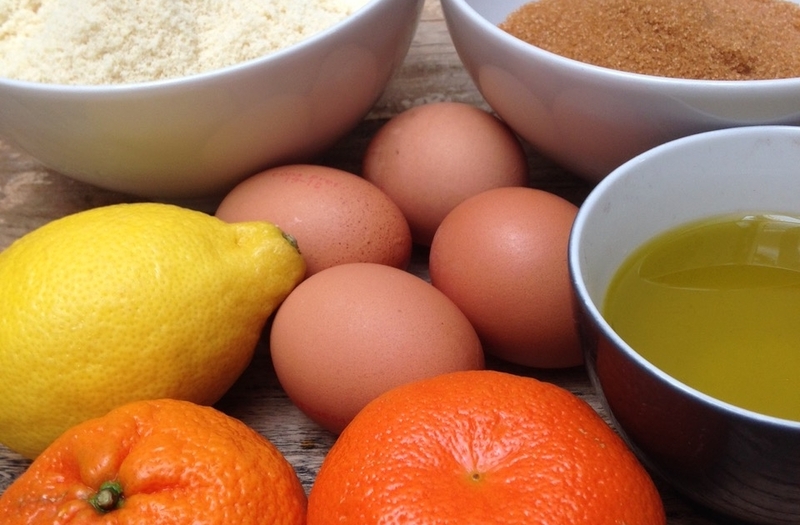 Whisk the eggs, lemon zest and caster sugar in a bowl. Add the olive oil and beat until light. Add the mandarin paste and stir, then finally fold in the ground almonds and baking powder. Spoon the mixture into the prepared tin. Bake for about 50 minutes, until well risen and golden. It should be slightly shrunken from the sides. Leave to cool. To make the syrup, warm the sugar and lemon juice in a small pan until the sugar has dissolved. Make small holes all over the cake with a piece of uncooked spaghetti and drizzle over the lemon juice. 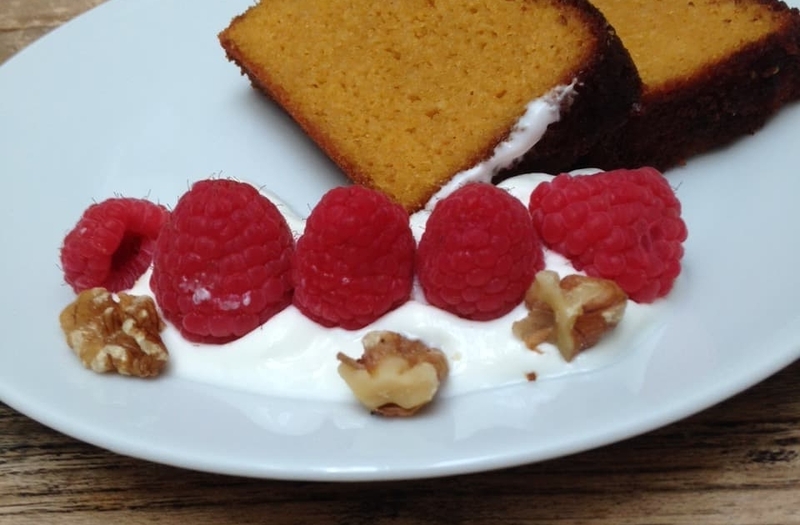 When cool turn the cake out onto a serving place and serve with the Greek yogurt and fresh raspberries.